SODA ASH is an alkaline dyeing auxiliary for use with Reactive dyes (ie Procion, Drimarene, Remazol etc). 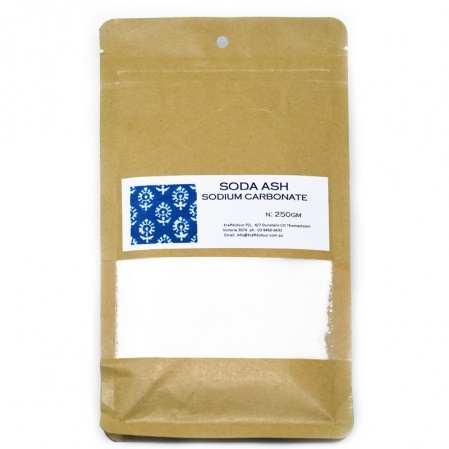 Soda Ash is essential for the fixation of the dye. With Procion MX dyes it is used at 5-10g per litre of Dyebath. For other Reactive dyes it is generally used at 10-20g per Litre.